Concerns have been raised folllowing the closure of Hartlepool police station’s custody suite this month. Cleveland Police launched a staff consultation last November to mothball the facility which holds people arrested in the town. Instead, suspects are now taken to a purpose-built suite in Middlesbrough. The force has confirmed that the Hartlepool suite has not been used since January 1, but say it can be brought back into use if required. Darren Price, a resident of Hartlepool’s Foggy Furze ward where people have been patroling the streets at night due to increases in crime and lack of police, said: “With the custody unit being closed it means if anybody gets arrested you can count on that cover being lost for an hour. “We haven’t got adequate cover in Hartlepool as it is. Hartlepool MP Mike Hill (left) with Civil Nuclear Police Federation CEO Nigel Dennis in Westminster. It comes as the union representing police who guard Hartlepool’s nuclear power station say they will no longer be able to support Cleveland Police in transferring suspects they arrest due to the mothballing. The Civil Nuclear Police Federation say what was previously a 10-minute trip to take people they arrest to Hartlepool Police Station will become an hour round journey to take them to Middlesbrough. Union chief Nigel Dennis says that will take officers away from protecting the power station in Brenda Road for too long, and has met with Hartlepool MP Mike Hill in Westminster to express his concerns. Suspects are now taken to a new suite in Middlesbrough where the force says there is better access to health and support services, and add the move will save money. Mr Dennis, CEO of the Civil Nuclear Police Federation, said: “Our members have expressed concerns that in their endeavour to support under pressure police officers in Hartlepool by taking arrested persons direct to the custody suite, instead of calling local police to send a van to pick up suspect, that this will be rendered impossible if the nearest custody suite was Middlesbrough. “There is no way that our members could help out in future because a 10-minute trip would turn into a one hour round journey. Mr Hill described the mothballing of the Hartlepool custody suite as a backward step and is asking Cleveland Police and its Police and Crime Commissioner Barry Coppinger to think again. He said: “These guys have supported regular police forces time and again during national terrorist incidents so deserve listening to. “If the removal of the custody suite precludes this on-hand resource for Cleveland Police from helping in the fight against crime then that is unacceptable. “The Civil Nuclear Constabulary are clearly an asset to Hartlepool and help bolster security. 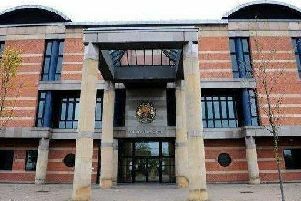 Detective Chief Inspector Chris Barker said just two people were recorded as being taken into custody by CNC officers in Cleveland last year with both of taken into Middlesbrough custody. He added: “Usually, Civil Nuclear Constabulary colleagues would hand over any prisoners to Cleveland Police officers prior to them being taken to a custody suite. “The purpose-built custody suite in Middlesbrough better caters for the needs of vulnerable people or those in need of medical attention, including having senior healthcare practitioners on site 24/7 and direct referrals to a range of support services to ensure safety and divert people from offending. Police and Crime Commissioner Barry Coppinger blamed the mothballing of Hartlepool custody suite on eight years of ‘crippling’ government cuts.